Eric Xing is a Professor of Machine Learning in the School of Computer Science at Carnegie Mellon University, and Founding Director of the CMU/UPMC Center for Machine Learning and Health. 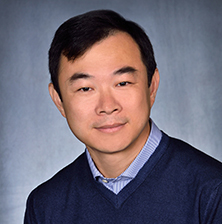 Dr. Xing has just been elected as a Fellow of the Association for the Advancement of Artificial Intelligence. AAAI will celebrate the newly elected Fellows at a dinner during AAAI-16 in Phoenix, Arizona on February 14, 2016. The Association for the Advancement of Artificial Intelligence's Fellows program was started in 1990 to recognize individuals who have made significant, sustained contributions---usually over at least a ten-year period to the field of artificial intelligence. Fellows' accomplishments range from pioneering advances in the theory of artificial intelligence, to unusual accomplishments in artificial intelligence technology and AI applications. Leadership in the Association for the Advancement of Artificial Intelligence or similar scientific organizations that promote the advancement of artifical intelligence through educational programs and support of forums for the exchange of ideas also plays a role in the selection process. Professor Xing received a Ph.D. in Molecular Biology from Rutgers University, and another Ph.D. in Computer Science from UC Berkeley. His current work involves, 1) foundations of statistical learning, including theory and algorithms for estimating time/space varying-coefficient models, sparse structured input/output models, and nonparametric Bayesian models; 2) framework for paralellel machine learning on big data with big model in distributed systems or in the cloud; 3) computational and statistical analysis of gene regulation, genetic variation, and disease associations; and 4) application of statistical learning in social networks, data mining, and vision.